New Zealand’s eight universities offer a wide range of study opportunities and all are ranked within the world’s top 500 (3%). Studying at a university develops both professional skills and important life skills such as analysis, critical thinking, communication and innovation. You will take these through your whole career, not just your first job. New Zealand is home to eight universities of the highest quality. All are ranked in the top 3% (500) universities in the world. New Zealand’s universities are also highly ranked by subject. They are ranked within the top 50 universities in the world in 22 different subjects, and in the top 100 in 39 (out of a possible 46) subjects. New Zealand graduates enjoy some of the best graduate outcomes in the world – with high completion and employment rates, and low rates of under-employment. Read more on graduate outcomes. 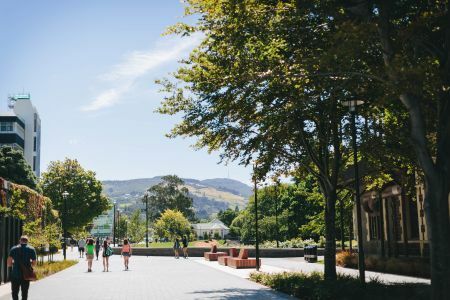 New Zealand universities have a robust and multi-layered quality assurance system, which ensures programmes, teaching and learning are of a very high standard. The strong reputation of New Zealand universities is the key reason why 93% of our international university students chose to study in NZ. Seven of our universities are comprehensive universities, offering a broad range of subjects including arts, sciences, commerce, engineering, and health sciences. Lincoln University is a specialist land-based university. Read more Key Facts & Stats about New Zealand’s universities. Visit the profile page for each university (see links on this page to each). Read how New Zealand universities are growing the economy, driving research and innovation, efficient and effective, delivering quality teaching and learning, enriching knowledge and understanding, and building Māori and Pasifika success.